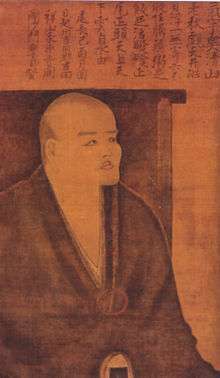 Dōgen Zenji (道元禅師; 19 January 1200 – 22 September 1253), also known as Dōgen Kigen (道元希玄), Eihei Dōgen (永平道元), Koso Joyo Daishi (高祖承陽大師), or Bussho Dento Kokushi (仏性伝東国師), was a Japanese Buddhist priest, writer, poet, philosopher, and founder of the Sōtō school of Zen in Japan. Originally ordained as a monk in the Tendai School in Kyoto, he was ultimately dissatisfied with its teaching and traveled to China to seek out what he believed to be a more authentic Buddhism. He remained there for five years, finally training under Tiantong Rujing, an eminent teacher of the Chinese Caodong lineage. Upon his return to Japan, he began promoting the meditation practice of zazen through literary works such as Fukan zazengi and Bendōwa. He eventually broke relations completely with the powerful Tendai School, and, after several years of likely friction between himself and the establishment, left Kyoto for the mountainous countryside where he founded the monastery Eihei-ji, which remains the head temple of the Sōtō school today. However, tension soon arose as the Tendai community began taking steps to suppress both Zen and Jōdo Shinshū, the new forms of Buddhism in Japan. 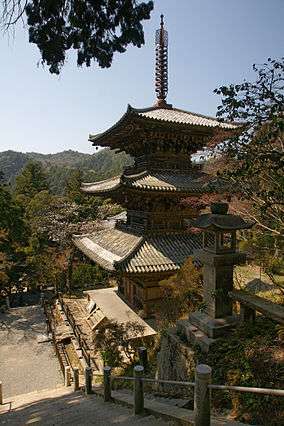 In the face of this tension, Dōgen left the Tendai dominion of Kyōto in 1230, settling instead in an abandoned temple in what is today the city of Uji, south of Kyōto. In 1233, Dōgen founded the Kannon-dōri-in in Uji as a small center of practice. He later expanded this temple into the Kōshō-hōrinji Temple (興聖法林寺). Dōgen's conception of Time-Being (Uji, 有時) is an essential element of his metaphysics in the Shōbōgenzō. According to the traditional interpretation, "Uji" here means time itself is being, and all being is time." Uji is all the changing and dynamic activities that exist as the flow of becoming, all beings in the entire world are time. This view has been developed by scholars such as Steven Heine, Joan Stambaugh and others and has served as a motivation to compare Dōgen's work to that of Martin Heidegger. Recently, however, Rein Raud has argued that this view is not correct and that Dōgen asserts that all existence is momentary, showing that such a reading would make quite a few of rather cryptic passages in the Shōbōgenzō quite lucid. Recently in the great Sung dynasty of China there are many who call themselves "Zen masters. They do not know the length and breadth of the Buddha-Dharma. They have heard and seen but little. They memorize two or three sayings of Lin Chi and Yun Men and think this is the whole way of the Buddha-Dharma. If the Dharma of the Buddha could be condensed in two or three sayings of Lin Chi and Yun Men, it would not have been transmitted to the present day. One can hardly say that Lin Chi and Yun Men are the Venerable ones of the Buddha-Dharma. Dōgen was also very critical of the Japanese Daruma school of Dainichi Nonin. Dōgen's masterpiece is the Shōbōgenzō, talks and writings—collected together in ninety-five fascicles. The topics range from monastic practice, to the equality of women and men, to the philosophy of language, being, and time. In the work, as in his own life, Dōgen emphasized the absolute primacy of shikantaza and the inseparability of practice and enlightenment. Dōgen also compiled a collection of 301 koans in Chinese without commentaries added. Often called the Shinji Shōbōgenzō (shinji:"original or true characters" and shōbōgenzō, variously translated as "the right-dharma-eye treasury" or "Treasury of the Eye of the True Dharma" ). The collection is also known as the Shōbōgenzō Sanbyakusoku (The Three Hundred Verse Shōbōgenzō") and the Mana Shōbōgenzō, where mana is an alternative reading of shinji. The exact date the book was written is in dispute but Nishijima believes that Dogen may well have begun compiling the koan collection before his trip to China. Although these stories are commonly referred to as kōans, Dōgen referred to them as kosoku (ancestral criteria) or innen (circumstances and causes or results, of a story). The word kōan for Dogen meant "absolute reality" or the "universal Dharma". Lectures that Dōgen gave to his monks at his monastery, Eihei-ji, were compiled under the title Eihei Kōroku, also known as Dōgen Oshō Kōroku (The Extensive Record of Teacher Dōgen’s Sayings) in ten volumes. The sermons, lectures, sayings and poetry were compiled shortly after Dōgen’s death by his main disciples, Koun Ejō (孤雲懐奘, 1198–1280), Senne and Gien. 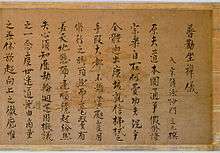 There are three different editions of this text: the Rinnō-ji text from 1598; a popular version printed in 1672 and a version discovered at Eihei-ji in 1937 which, although undated, is believed to be the oldest extant version. Another collection of his talks is the Shōbōgenzō Zuimonki (Gleanings from Master Dōgen’s Sayings) in six volumes. These are talks that Dōgen gave to his leading disciple, Ejō, who became Dōgen’s disciple in 1234. The talks were recorded and edited by Ejō. Benōhō (Rules for the Practice of the Way), one volume; written between 1244 and 1246.